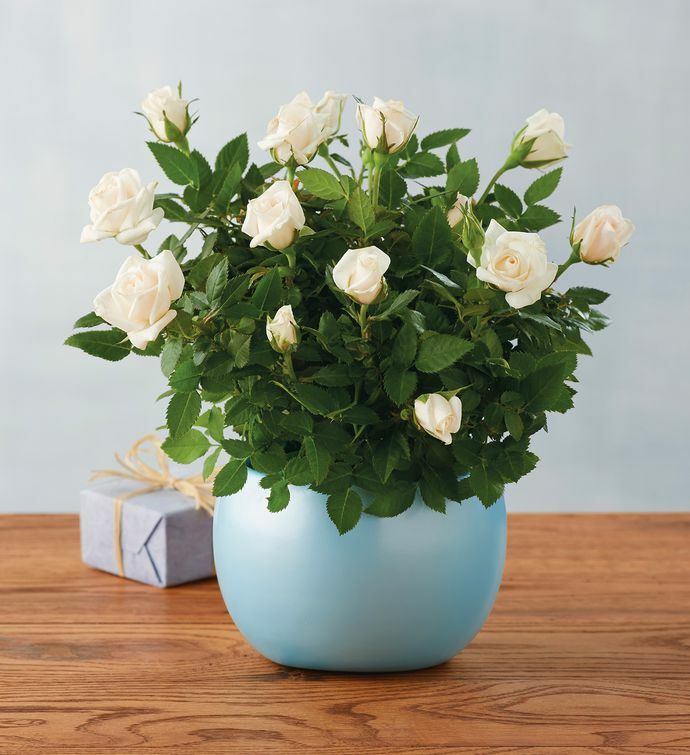 Send best wishes for a new baby boy with a delicate, living rose bush. This thoughtful birth or shower gift makes an excellent decorative addition to baby's nursery. With love and care, this miniature white rose will grow alongside the sweet new addition to the family.